Now from a distance, this G-Wagon may look eerily similar to the model it replaces but look a little closer and one starts to realize the subtleties. Along with updated headlights, taillights, and a streamlined look, the G-Wagon is more rigid than ever before. The front windshield is also curved for the first time ever! 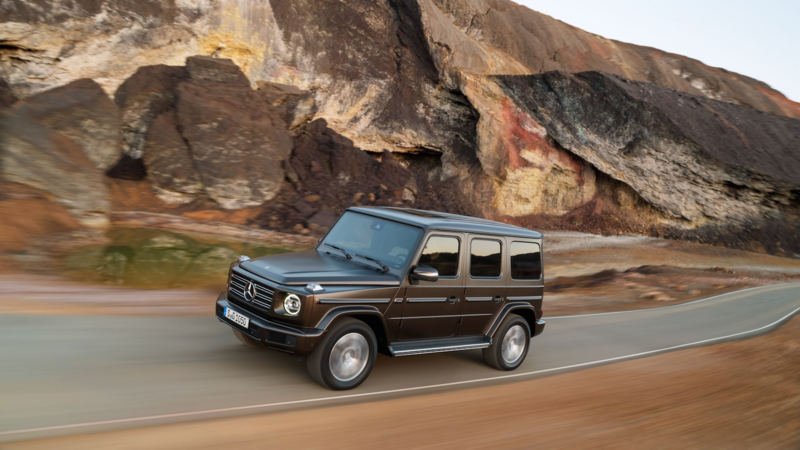 >>Join the conversation about the 2019 G-Class right here in MBWorld. 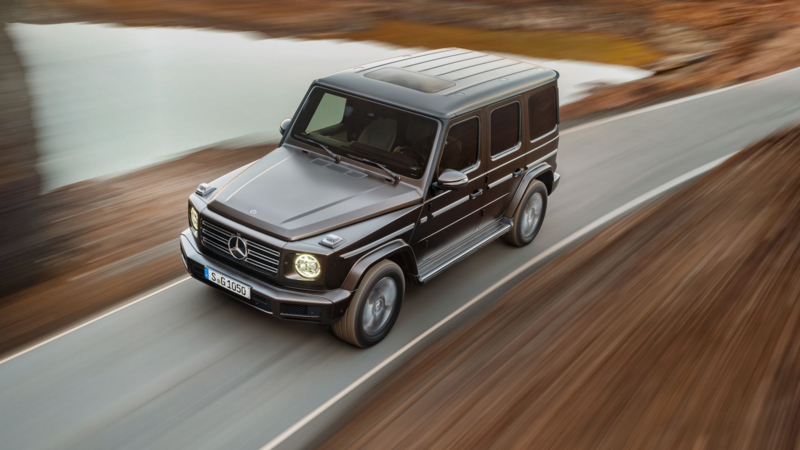 The new generation G-Wagon is roomier than ever before. Front legroom is up 1.5 inches while rear legroom increases by 5.9 inches. The car is 4.8 inches wider, 2.1 inches longer, and 375 lbs lighter overall! Despite being wider, longer, and taller than the last model, the G-Wagon doesn't seem to have grown significantly. The car has two similarities from the last model: the door handles and the rear tire cover. The interior is a revolution rather than an evolution because Mercedes blended the best of today's technology and luxury from its best models. Many of the intricacies of the later models are still there such as the famous switchgear and passenger grab handle. Also a first for the G-Wagon: front and rear cupholders! 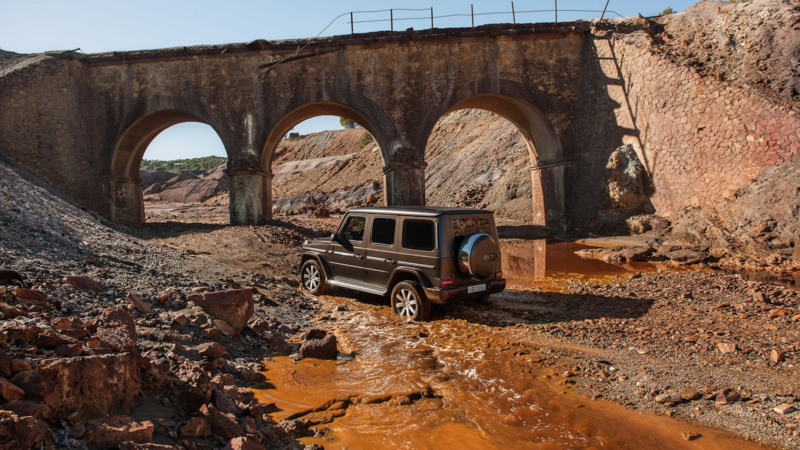 Many G-Wagon owners will drive their SUV on congested roads or down Rodeo Drive in Beverly Hills but the G-Wagon has one purpose and one purpose only: to annihilate off-road tracks. Electronically assisted front suspension allows for crazy wheel articulation, allowing the G-Wagon to cross terrain that mere Range Rovers could only hope to do. 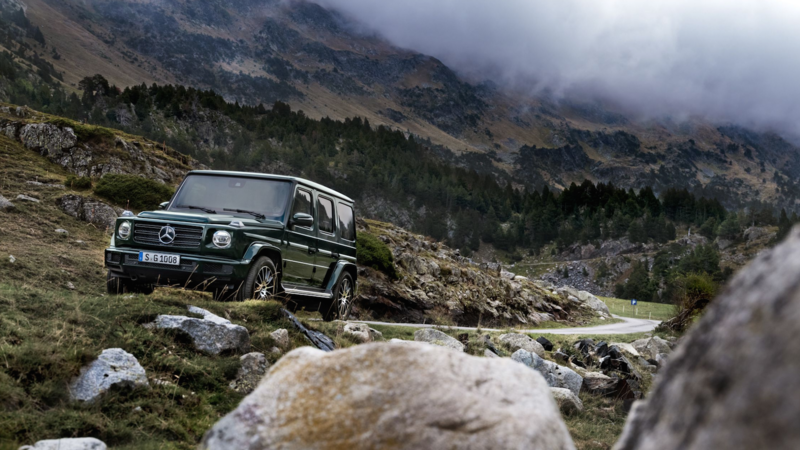 When it's not showing-off while scaling a mountaintop, the G-Wagon has even softer suspension for the road. Mercedes' newest 9-speed gearbox made it into the G-Wagon. It allows for better fuel economy as well as more seamless shifts. The gearbox shift speed varies in Eco, Comfort, and Sport modes; each with their own unique styles. If those don't work for you, there's an Individual setting which lets you tailor your driving modes to suit your liking. 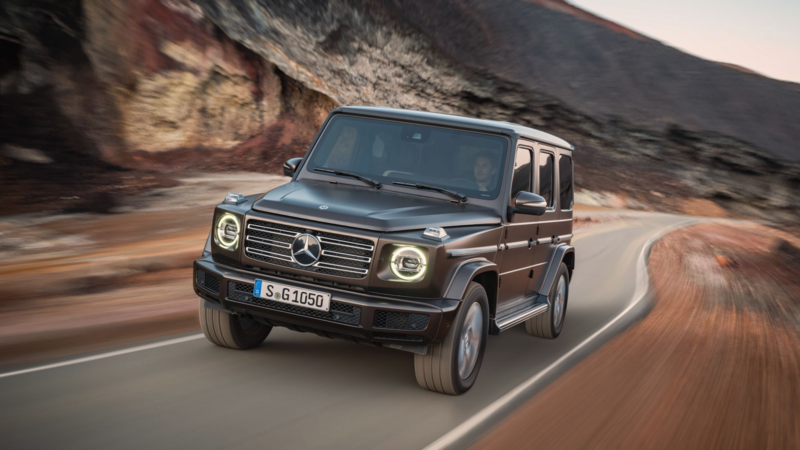 The 2019 G-Wagon will be on sale late this year. Expect prices to be a tiny bit more expensive than the outgoing models.